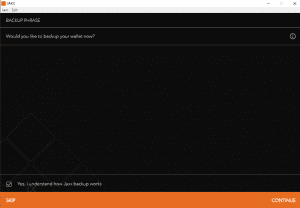 If anything happens to your Jaxx or Jaxx Liberty Liberty wallet you are able to restore it, retaining all of you coins. 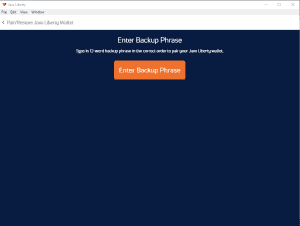 To restore your Jaxx or Jaxx Liberty wallet you will need the 12-word backup phrase. 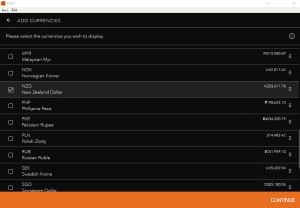 If you are doing a fresh install of Jaxx Liberty, navigate through the opening menus accepting the terms and conditions. Next select “Pair/Restore Wallet” when prompted and enter your 12-word backup phrase. You are also able to restore your wallet if it is already installed on your device by following the steps below. Please note down the backup phrase before attempting to restore your wallet. Below you will find images from Jaxx and Jaxx Liberty. Firstly, open the menu in Jaxx. This is the three dots/lines on the right-hand side. Alternatively, if you have a newly installed version of Jaxx Liberty, click “Pair/Restore Existing Wallet”, read and agree to the T’s & C’s. Click to enter your backup phrase, then, for Jaxx Liberty, continue to Step 5. Select “Pair/Restore Wallet” on your device. Enter in your Backup Phrase. Once you have typed your 12 words, click “Next” and select either “Express” or “Custom” and “Continue”. 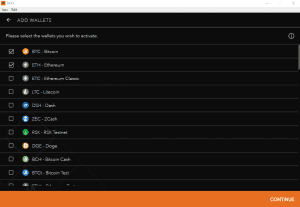 Select your cryptocurrencies and “Continue”. Select your fiat currencies and “Continue”. Backup your wallet, “Continue”, then set up a security pin. Your wallet is now restored. 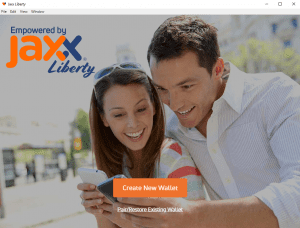 [VIDEO] How do I setup Jaxx Liberty mobile wallet? 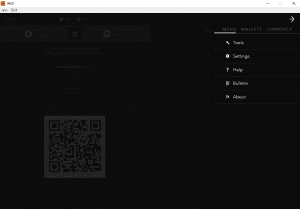 [VIDEO] How do I setup Jaxx Liberty desktop wallet? 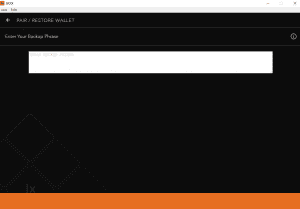 Where do I Find my Wallet Address in Jaxx Liberty? 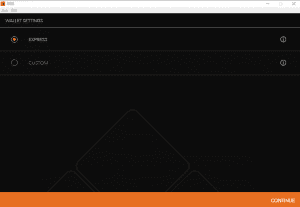 How do I Setup Jaxx Liberty Wallet Chrome Extension? 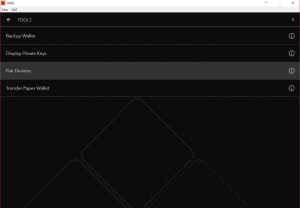 I bought Ethereum but it’s not showing in my wallet? 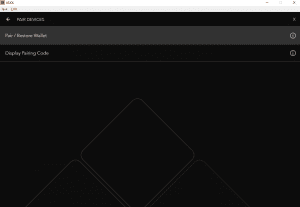 How do I pair a Jaxx Wallet to another device so they both show my balance? I do not know my 12 word back up phrase. Am I not able to restore and pair my e-wallet on my new computer and cell phone without it? 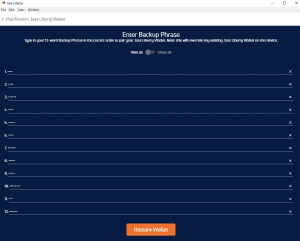 Where is the back up phrase stored in the Jaxx app? Unfortunately, if you have lost your backup phrase, there isn’t much we (or anyone else, including Jaxx) can do to help. 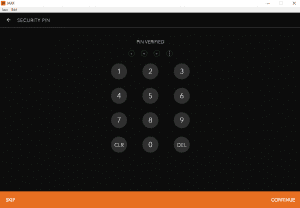 It is why you are prompted to write it down and store it securely when you first setup Jaxx. There is currently no way to extract a backup phrase. The only option I can think of is checking on iCloud or the Android equivalent to see if you can restore your phone to an older version and access your wallet that way. I know it is possible to extract the PIN, but this is quite advanced, and if you wanted to try this I’d recommend finding a comprehensive guide via Google. Sorry, we can’t be of more assistance with this. Good luck with trying to restore your phone back up.